those wishing to learn more. This interim website is now live and online! Come check it out and provide us with your feedback! Now, with this temporary website in place, our core marketing team is working on a larger and more long-term strategy. As always, keep us posted with your feedback. We love to hear how we can better communicate. PROFILES FOR THE NEW TEAM MEMBERS ARE LIVE Come meet the people who are making Komodo possible. Our new team page gives an overview of our entire team, including new hires to both the marketing and development departments. Our most recent hire is 'Goldenman', who will act as our Korean Ambassador, raising awareness in Korea about our project. We are continually working to improve brand awareness and simplify the Komodo on-boarding process for new businesses and developers. Our marketing outreach hit pay dirt again this week: yet another exchange just added KMD! Last time we made this announcement (only a week or two ago), the new partner lineup included HitBTC and UpBit. This time, our new host is Binance! They are a major Asian-based exchange, and we're excited to find a new audience with them. KMD trading activity on Binance achieved an impressive ~$2M USD in daily volume, on just the first day alone. The Binance exchange also launched a Komodo marketing campaign, drawing attention to the new KMD trading pairs. They're offering various prizes, including a Samsung S8 & Gear S3, for the top KMD volume traders. Check out the official Binanace announcement for the full details. You may be wondering why we are seeking listing on centralized exchanges when Komodo is already a fully capable decentralized exchange itself. The answer is: Liquidity. It is essential to the KMD market that we have as much value flow as possible as we grow our atomic-swap powered technology. Central exchanges play a critical role in keeping the KMD moving, and we assist our users in this endeavor with our open-source trade-bot software. We will keep you informed as we reach out to more exchanges. Our Chief Technology Officer, K.
about the nature of monetary theory and bartering. With the advent of decentralization and blockchain technology, all of these assumptions are subject to change. role in this exciting future. The Komodo Platform’s backend technology has proven to be both stable and functional. In preparing for the Monaize dICO launch we successfully executed more than 3000 cross-chain atomic swaps during our dICO test phase. Recently, during our final preparatory stages, we conducted what’s called a “stress test,” in which we simulated a high-level pressurized load on the Komodo system across a wide variety of hardware setups, operating systems, and other customized configurations. Although the backend technology withstood the pressure, the standalone dICO App (Graphical User Interface) showed small troubleshooting issues. These issues would have been impossible to discover without our growing volunteer-developer community, who provided their support in performing the mass-scale stress test. Our goal for the Monaize dICO was to have a simple and seamless experience for contributors of all technical levels, including those who have no technical experience at all. After careful consideration, we have made the decision, along with our partners at Monaize, to postpone the public dICO launch until the standalone dICO application is fully stable for all users. 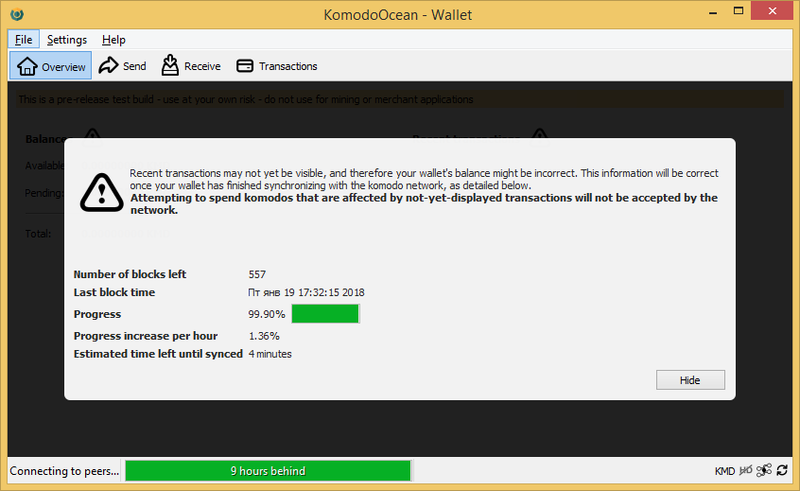 The public testing that took place within the Komodo community this week was a highly beneficial experience. Our community helped to optimize the standalone dICO App, as well as to identify additional issues that we can now resolve. Therefore we are establishing lucrative bounty-rewards for the most active testers and beta dICO participants. At Komodo, we take pride in holding ourselves to the highest standards of quality when it comes to trust-less decentralization, and we appreciate the support our community provides. Please reach out to us on our Slack channel if you would like to participate. The following is the account of one of our new team members, @siddhartha-komodo, learning to use The Komodo BarterDEX. In this process, he purchased a preliminary and fully functioning Monaize dICOthe official dICO launch). Having successfully performed his first atomic swap, he now gives a detailed explanation of many of the concepts that community members — both new and old — may be interested to understand so as to more fully take advantage of the opportunities Komodo technology can provide. Hello everyone! You may have seen me around by now. Komodo was my favorite blockchain project long before the Komodo team offered me a job. I found interest in Komodo in September, offered my services first as an unpaid volunteer, then as a freelancer, and now I have the honor of serving as a full-time team member. My background is in writing, teaching, and visual design. Everything works and the atomic-swap purchasing process (including for Monaize) just requires persistence and a bit of a learning curve (still slightly too high for the average user). The MNZ coins in circulation are real, but the supply is very low as these were released purely for developmental purposes. Those wishing to make investments in the Monaize dICOstill under delay), when the full coin supply is released and the price normalizes. The backend technology had no issues for me; the frontend software is still a bit rough around the edges, but it also works and is swiftly improving. Komodo’s BarterDEX, our fully decentralized and atomic-swap powered exchange, is already live and functioning for many other types of coins (Bitcoin, LiteCoin, NameCoin, DogeCoin, etc.). It has been publicly live for months (a fact few realize), though using it previously was too complex for most users. With the frontend software now approaching user-friendly levels, many community members are already getting a head start trading on The BarterDEX. There’s nothing stopping you from joining in the action, so long as you’re willing to be an early adopter. Yes, the coin I purchased is exactly the same type of coin that dICO participants will purchase when we officially launch the Monaize dICO. (In fact, it is worth mentioning that The BarterDEX does not even use a test net.) Furthermore, the process of purchasing a Monaize coin is indeed a fully realized atomic swap. This latter fact, that Komodo’s atomic swaps are real and accessible to an average user, is a major leap forward for blockchain technology. As my final confirmations completed for my atomic swap, I had a feeling of being at the very outer edge of “technology” space. For myself, I imagine that it was just a tiny bit similar to what an astronaut feels when performing a spacewalk, standing there on the cutting edge of humanity’s progress. While the coin I purchased is real, I likely purchased it at a far higher price than users will pay if they wait for the official dICO launch. While I am an official member of the Komodo team, no part of my participation was unique to being a team member. No one on the team asked me to make this atomic swap, and therefore I had no guide to walk me through the process; I also used my own personal Komodo funds. I downloaded the same publicly released software (The Komodo Agama WalletThe BarterDEX-Simple app) that other community members use. I followed the same public set of instructionsthe public Komodo Slack chat channels for assistance; developers helped by answering my questions when they had free moments, just as they do for volunteer community members who were swapping coins alongside me. The total number of successful atomic swaps we have completed is swiftly climbing into the thousands (over 7000, last I checked); most swaps occur around the Monaize/Komodo trading pair, but many other coins are already available (Bitcoin, LiteCoin, NameCoin, DogeCoin, to name a few). A few nights ago, while working away on revisions for the upcoming Komodo BarterDEX whitepaper, I decided that if I am to share a responsibility in describing The BarterDEX, I probably ought to be comfortable actually using it (simple logic, right?). So, I wandered over to where all the development action happens on Slack, found the links to the latest software releases as they slid across the chat channel, and got started. In the process of performing my first atomic swap, I realized that there are a few concepts regarding our project that need a written explanation now, to share awareness and insight into what exactly Komodo is accomplishing. These developers I have the honor of working with have been quite busy for several years, fulfilling a vision they have had little time to stop and explain; coming onto the project just now, I find that almost every day there is a new rabbit hole to go down. Komodo is not a simple business; it is an endeavor, a movement, a cause. Providing a few insights today I hope will help you to better understand the nature of the Komodo project (which extends far beyond just The BarterDEX), and also that you find a more clear pathway to get involved. Normally I would prefer to keep my post-length below 600 words. Yet, there was so much to discover and explain in the atomic-swap journey, and so many questions that I anticipate future users will have, a mega post seemed the best path forward. Naturally, as our Komodo marketing journey is just starting, information about who we are and what we are doing is still scarce; after all, we are just now formalizing our whitepapers (The BarterDEX whitepaper is getting close!). When writing a blog post such as this, I face the question of wondering where you are, dear reader, in your journey of discovering blockchain technology as a whole, and how much you know about Komodo’s endeavors. Komodo is to blockchain technology what Linux is to operating systems. In other words, as an organization, we are furthering the cause of decentralization by developing blockchain technologies, while staying true to the same underlying open-source principles that make the Linux operating system meaningful and useful. If you are new and have not yet had the chance to understand these Komodo-related topics, I recommend that you give these articles a click first. With that said, even having read all of those posts, there is yet another piece of the Komodo story that we have not yet had time to explain in simplified terms. This is The BarterDEX, and it is integral to what we are doing. The BarterDEX is a fully decentralized exchange, powered by atomic-swap technology, and it allows people to trade cryptocurrencies without a counterparty risk. When we say “fully decentralized,” we mean it. The BarterDEX is a complete and fully realized solution. It is a decentralized exchange that requires no escrow systems, and has no platform managers (not even us!) to decide who can use it and how. Further, the entire trading process is comparatively fast and convenient, dramatically more secure and reliable, and therefore, we believe it to be a competitive and capable pathway forward in the cause of decentralization. Here’s a thing that’s hard for newcomers to understand: It is far too limiting to describe The BarterDEX as a software application that loads up on your local computer; in fact, that really doesn’t describe it at all. In one way of describing it, The BarterDEX is a protocol that allows users to trade directly with each other between two different raw cryptocurrencies. When we use the word “protocol,” we are describing a pathway or a set of code that is a widely accepted as a method upon which developers can rely when making computers work together. In the field of technology, we create protocols when communication between computers and other devices is complex and arbitrary. Creating a standard that developers can adopt enables us to more efficiently communicate and innovate; otherwise, one computer-related project would behave too differently from another. Look right up in your web address bar and you’ll see those four letters, ‘http,’ at the front of the website address. Those letters stand for “HyperText Transfer Protocol,” which means that you and me, this very moment, are using a “protocol” to send this blog post over The Internet so that we can chat with each other. Our computers use this underlying protocol, HTTP, which is actually very complex, to simplify the process so that for us, as end-users, it’s a piece of cake to share knowledge. HTTP is a foundation for how we exchange Information over The Internet. We use something else, a piece of software called a “web browser,” that understands the HTTP protocol (and other protocols!) and can handle it automatically (this is your Firefox, Chrome, Safari, IceCat, etc.). This way, we don’t have to think about HTTP while we’re browsing the interwebs. So, we have a protocol that provides a foundation for computer interaction, and then a software application that runs on top to simplify the process. The BarterDEX has strong similarities to the concept of a protocol, in that it is essentially an open-source set of code that provides an underlying foundation for users to exchange raw cryptocurrencies in a fully decentralized manner. When the creators of HTTP developed for the public, they did not create patents to block others from using it. Instead, while they did build their own web browsers, they also released the HTTP to the public freely so that anyone could develop different types of browsers. The variety creates competition, which fosters innovation. This is similar to what we’ve done with The BarterDEX. It’s open-source, and it becomes a foundational “protocol” that users can adopt as a way of exchanging Value over The Internet. Technically knowledgeable users have already been running The BarterDEX constantly for months to conduct trades; our lead developer, JL777, began using the roots of BarterDEX technology to conduct atomic swaps years ago, in fact. However, just like the earliest HTTP endeavors, The BarterDEX as a “protocol” is too complex for most users to actually employ it without some kind of software application. Yet, writing a user-friendly software application is a separate endeavor, as opposed to building the protocol itself. While we are helping members of our community to build applications that utilize The BarterDEX, we are trying harder to foster an ecosystem where many different software applications work together to serve a wide variety of users and their needs. To kickstart the creation of these “Value Browsers,” as we might call them, we provided initial funding, and we also have an outstanding commitment of a $100,000 reward to whomever creates the most popular “Value Browser.” We help any developers in our community as they actively engage in the development process. A few of our most active volunteer community members are on the cusp of releasing a stable product. Altogether, I think we have six or seven “value browsers” in the creation process, and we spoke about them in a comment on our October Reddit AMA. The takeaways from all this are: The BarterDEX is an underlying foundation that enables users to trade and exchange funds, but it is a separate beast from the standalone applications that take advantage of The BarterDEX itself. In the long run, ideally, no one will need us (the Komodo team) to build a new “Value Browser” for The BarterDEX, just as no one needs the original creators of HTTP to build a new web browser. There are “Value Browsers” already that are basically up and running, and yet (as my brief story below will provide) the ride you take when using them is a bit rough — just as early web browsers had hiccups, too. I have yet to hear of anyone losing any funding on The BarterDEX (though never rule that kind of thing out). The difficult part of using The BarterDEX only lies in getting the initial connection established between traders; after that, the rest is a cinch. Most of the things in the learning curve are easily overcome; if you’d like to give it a try today, just come to our Slack channel, ask questions, and you’ll probably make it through just fine. Of course, some of our readers just want a quick insight into the process, without having to go through all the effort. So, here’s my story. My journey began around 2:00 AM in the morning four days ago, and I began for the reasons already described. I had a head start on the whole process, as I had previously installed the Komodo Agama Wallet, for long-term coin storage (it’s a multi-coin wallet, capable of storing Komodo, Monaize, and other coins). I visited the #tradebots channel on our community Slack and watched for @grewalsatinder’s latest release of The BarterDEX-Simple app to scroll by. The installation was a cinch, and once I loaded up the wallet I simply clicked the buttons that say “Electrum” to get a new smartaddress (this is a Komodo SPV technology, wherein you can store and trade multiple coins right in the “value browser,” without having to download a single blockchain). I sent just 1 KMD to this smartaddress; it’s still new technology, and naturally I wanted to minimize my risk. The tricky part now was to understand the many things the dICO App’s interface was telling me. I won’t bother explaining my visual user experience in detail, because the entire interface is iterating so rapidly, my visual experience is no longer relevant. The thing that I had the hardest time trying to understand was the term, “UTXO.” I do understand it well now, and we’re including a full explanation in the upcoming BarterDEX whitepaper. I won’t bother explaining UTXOs for the moment, because I hear that developers are trying to automate away everything to do with this aspect of the technology, so that you won’t even have to think about UTXOs during the Monaize dICO (but don’t hold me to that). Once I figured out how to place an order for MNZ coin, it was simply a process of trying different combinations and parameters (at what price shall I pay and for how much MNZ coin?). Eventually, I settled on offering at a rate for 0.3 KMD to 1 MNZ, and anytime anything seemed to be taking longer than it was taking my fellow traders on the Slack channel, I gave the dICO App’s memory a good jug on the head by rebooting it. I don’t know if that latter part was always necessary, but it was fun to feel like Fezzik interacting with The Albino in The Princess Bride. Done. I was officially one of the first few people to accomplish an atomic swap…and the whole thing was not that hard (when I look at the math and coding behind all this, I personally find it difficult not to be impressed). That was my first cryptocurrency trade, sans the middlemen. I atomic-swapped one of my Komodo coins for someone else’s Monaize coin, without any risk, or coordination, and — once I understood what I was doing — the time involved was not long. That was it! In my personal opinion (and yes, I’m a team member, so I know I’m speaking from a biased position…but remember, I offered myself as an unpaid volunteer first), I see this as a worthy accomplishment, especially when considering the years of verbal commitments the founding members of Komodo made while building this technology. And, the story for Komodo goes far beyond The BarterDEX. On that note, I shall head to my next project, working to explain the overall vision of what the Komodo team is up to. If you have any particular questions about the Komodo vision right now, feel free to ask in the comments below! The Komodo team has been hard at work over the past few weeks, slaving away in slack perfecting their atomic swaps for the upcoming Monaize dICO. Unfortunately, the dICO has been delayed for further testing but there is much news to wet your Komodo appetite. After seeing an array of technological advances from the Komodo team, including vast amounts of atomic swaps from native wallets and electrum wallets, the Komodo team have just pushed the technology further. It was announced yesterday that the Komodo team are successfully doing Zero Confirmation Atomic Swaps (Zeroconf Atomic Swaps). What this means is that the user will be able to do fast atomic swaps if they toggle the option to use zero confirmations. Confirmations obviously confirm transactions, so zero confirmation atomic swaps allow the trade to occur before a confirmation occurs. In order to achieve this, a deposit must be made and put into a time-locked multisignature address prior to the trade. This is done to prevent hackers from doing a double spend attack where the attack reorganizes the blockchain it is receiving from before the confirmation sticks. 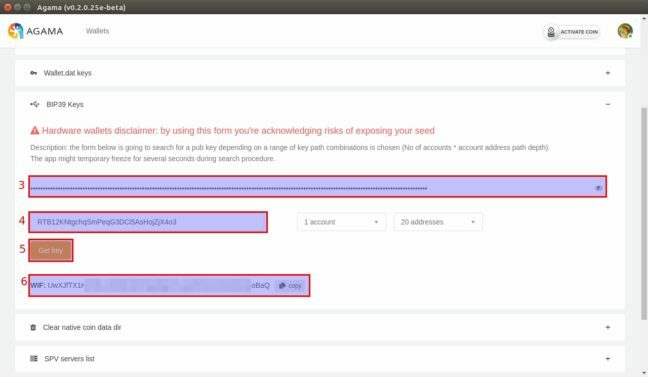 If this is the case, the receiver who did not get the funds can alert a Komodo representative (who has access to the multisignature address) who will in turn access the deposit and transfer the attacker’s deposit to the receiver. Since the nodes are constantly checking pending swaps, once a hacker is found to be attempting a double spend attack, he/she will be penalized and they will lose their deposit. In other news, the Komodo team released a new updated version of their BarterDEX whitepaper. The whitepaper is highly technical in its analysis of BarterDEX, however, it does give an insight into the complicity behind the atomic swaps the Komodo are making. As it stands, the Komodo team have done over 8000 atomic swaps. The progress can be followed at this website. For more layman’s terms on how BarterDEX work, please read this recent post by the Komodo team. In an extremely bizarre fashion, an ERC20 token by the name of eKOMODO is being airdropped to Ethereum accounts that are responding to an online form. However, the project is not associated with the Komodo team whatsoever. Ie technologies, such as Atomic Swaps, on the Ethereum Blockchain. However, on chain swaps are nothing new, in fact, these have been possible for years. Atomic Swap refers to off-chain swaps, not on-chain swaps. However, the token does give Komodo some unorthodox advertising nevertheless. Unfortunately, in regards to the Monaize dICO, the team still hasn’t set a date, however, the Komodo team did state that investors will be given two weeks notice before the dICO begins. Whilst disappointing, it needs to be stressed this is the very first dICO in cryptocurrency history and it is important that the technology is 100% ready before the dICO begins. To find out more, read this blog post by the Komodo team. BarterDEX and dICO options in just single App! first release with charts. expect it behaving unexpectedly. More improvements will be coming to charts in future releases. Please send at least 2 or more small transactions to your BarterDEX smartaddress to make it operational for trading. Select 'Monzie (MNZ) dICO' option at the login screen. Login with passphrase (either pre-generated or make a new one). Look for the KMD address and send KMDs to it. Once sent, it will start reflecting there in a minute. Wait and watch the MNZ balance increasing as trades happen. If your wallet is encrypted, the app will not work with it. This feature will be made available in coming releases. Komodo [KMD] - This latest BarterDex walkthrough video is better than ever. The Barcelona conference was the biggest and busiest conference we have attended thus far. We had a large team present, and that allowed us to engage with many people. The Monaize team attended alongside us throughout the conference. With their support, we had an excellent opportunity to highlight how our platform can be used by new businesses wanting to enter the blockchain space. We were the only native blockchain exhibiting. Most of the other projects presenting at the conference were running on Ethereum, which means they were not unique blockchains, but rather they were based on ERC20 tokens. At Komodo, we are building a vast platform that anyone in the industry can adopt. This puts us in another league entirely, and requires a unique blockchain engineering skill set. The results were as promising as in previous conferences. Many entrepreneurs are interested in building in the Komodo ecosystem, and we're working to follow up with our conversations. Linked below are the materials we used in at the Singapore conference. They can provide a better idea about what we discuss with our contacts at the conferences. Regarding the Monaize dICO, we are making solid progress. The backend code of our technology is now extremely solid, and we recently crossed the 10,000 atomic swap count--an impressive milestone for the Komodo project. Our frontend development team, meanwhile, created a user friendly application that will allow participants in the dICO to participate with a smoother experience. We will share more info about the application's progress soon. Together with Monaize, we will carefully pick the new dICO date. It will be announced with at least a two-week notice. One major remaining to-do item is an extensive penetration test, to make sure our security standards are up to scruff. Our team's focus is still on making the dICO a big success! We hope you will find this PDF to be a strong step forward in our marketing endeavors, as we work to create simplified explanations of the Komodo project. All feedback you have while reading this overview is invaluable, so please do not hesitate to reach out to us on Slack with your questions and concerns. The first version of this article was released in the Arabic language as a part of the Abu Dhabi conference. 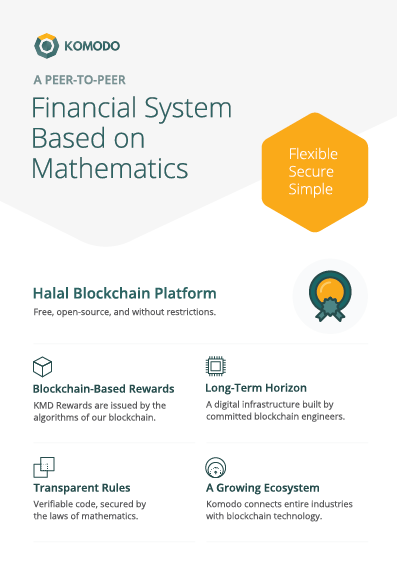 One key element of this overview is the answer that many of our Islamic investors sought: our Komodo 5% APR rewards are allowed under Islamic law, and are thus considered halal. Komodo, therefore, is elligible for halal certification and we are working towards it. 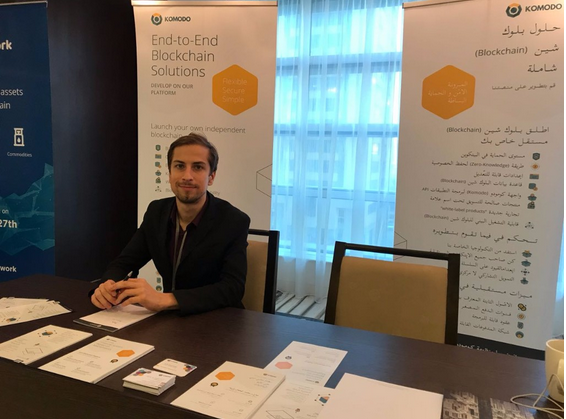 We arrived well-prepared for the Abu Dhabi Conference, having fully translated all of our materials into Arabic for investors. Furthermore, we were a gold sponsor of the conference, which provided us with extra visibility among conference participants. For the investors who visited our booth, we prepared a website landing page, along with the above Komodo Overview PDF. You can see our roll-up banner by following this link. It describes our basic feature set for any business or project looking to launch a native blockchain on the Komodo Platform. Some of the showcased features on the display include future projects from our current road map. Our focus is currently on the Monaize dICO and the roll out of The BarterDEX. Our attention will remain with these two projects until they are fully finished. The BarterDEX's front-end development is advancing swiftly. Daily reports are available on our Slack channel, and we hope to provide more updates for you here, soon. We prioritize attendance at conferences as a method of discovering high-quality future partners for the Komodo ecosystem. We want our ecosystem to thrive with the most innovative of entrepreneurs, and to facilitate this we need to make one-on-one personal relationships with the people with whom we hope to build. 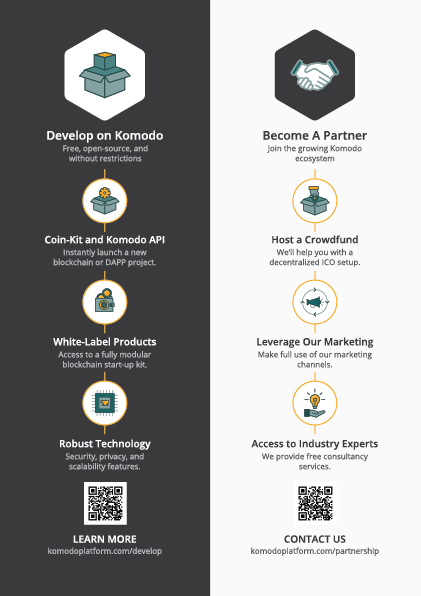 Also, we announced our 'partnership program,' through which we help new businesses and industries start their journey with blockchain technology on the Komodo platform. In a nutshell, the idea is to have only one dICO at a time, providing maximum visibility to our business partner. As with Monaize (our current partner), our team works personally with our business partner to explore ways to leverage blockchain technology for their individual market and industry. In essence, we provide a full development package for free. This includes a native blockchain, white-label products, decentralized exchange listing, consultancy services, marketing channels, and of course, all of our continued technology updates. This release of BarterDEX includes some UI improvements, new coin additions like Bitcoin Cash and more, suggest steps to take in case the user gets failed response trying to make a trade due to funds, confpath fix for marketmaker, switch pair option, charts fixes, and many bug fixes. Please delete coins.json file from your data directory to refresh the coins.json list. Otherwise, the App may act not responding. Type in it's address bar ###code##/code### and press Enter to open this location. 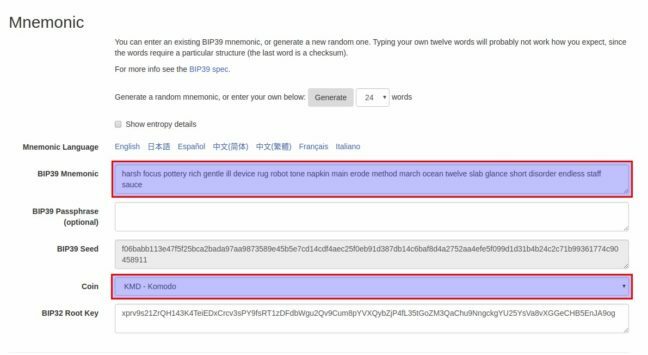 How to Claim Komodo (KMD) Interest from Ledger Nano S? 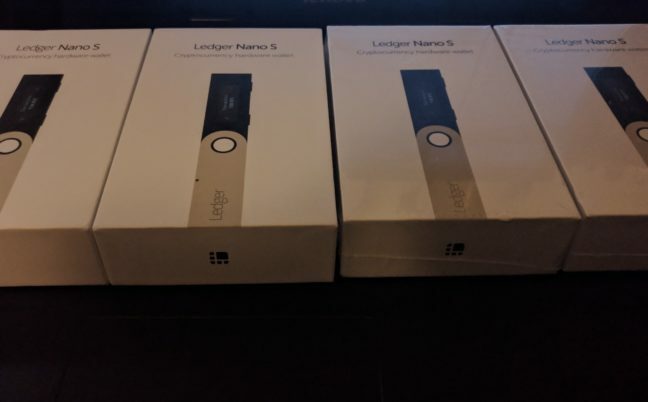 Ledger Nano S is one of the most secured HW wallet out there. HW wallets keep your funds secure and never expose your private key, even while doing a transaction. The Nano S made by Ledger can store multiple cryptocurrency and let you use them securely along with acting as a 2FA device as well. It supports Komodo (KMD) coin. You can send and receive only though. The Nano S doesn’t support KMD interest. There is a bug in the wallet and Ledger company doesn’t want to fix this (may get fixed in the future). So, if you use your hardware Ledger Nano S to send your KMD, you will lose your interest. 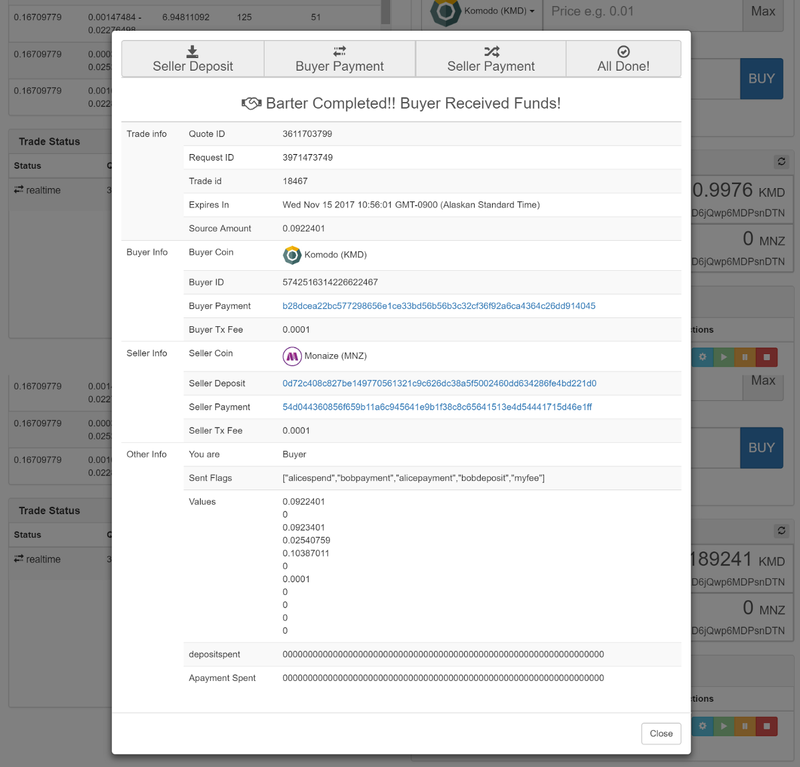 This release candidate build of BarterDEX includes many improvements in both backend and frontend. New and improved marketmaker codebase which includes 2.777x network efficiency. Means faster network and more scalable Decentralised Exchange network capacity, capable of supporting 100s or 1000s of trades before running into issues. This release makes it ready for any new heavy network load to BarterDEX. many small bug fixes in GUI. NOTE: Those users who are waiting for easy version of BarterDEX should wait for AtomicDEX release, which is separate GUI specially designed by keeping the regular users in mind. It'll be communicated on all channels when it will be released. First version with build Release versions of *.exe and *.dll , previous issues from Build 16 and 18 were successfully fixed. Now this is fastest release that ever. Loading block index stage tooks only 1 min. 58 sec. from fully synced blockchain and seems it's a little but faster than a Linux version on same PC (Core i7-7700 / 8 Gb RAM / SSD). Reverting all global changes with CWallet, CWalletDB, CDB classes. High CPU load usage in ThreadFlushWalletDB was fixed by other way, ThreadFlushWalletDB thread still exists in source and was untouched. Source code clean-up and reassessment. Fixed copyrights in Help -> About window. Added IsMine and Watch-only columns in Receiving addresses list (it's very useful to determine which addresses belongs to your wallet if you are added some watch-only addresses via importaddress command or if you are using BarterDEX). Komodo Celebrates The Mining Of Block 1 Million! 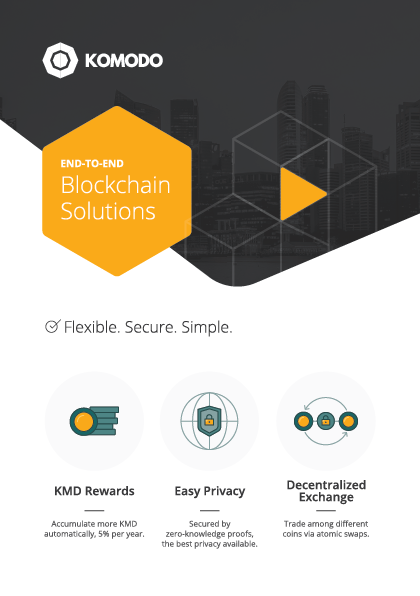 Komodo is excited to announce that the KMD chain has reached Block 1 Million! This is a huge milestone and cause for celebration. Many thanks are owed to many people. 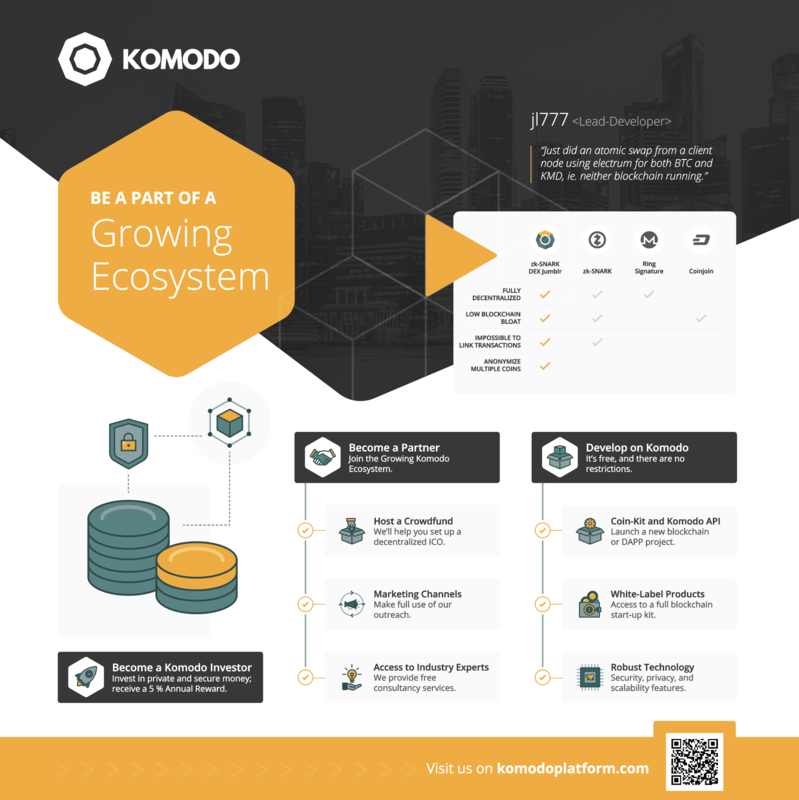 First and foremost, the extraordinary efforts of James ‘jl777’ Lee, Komodo’s Lead Developer, have been a driving force for much of Komodo’s progress over the years. The Komodo team is extremely grateful to have such an innovative and diligent Lead Dev. In addition, the Development Team and Support/QA Teams, led by ca333 and SHossain, have also both worked tirelessly to improve the Komodo Platform. Both the Dev Team and the Support/QA Team deserve special recognition for their hard work in coding, testing, and troubleshooting to bring innovative blockchain solutions into the Komodo ecosystem. Last, but certainly not least, the Komodo team would like to extend a huge thanks to our community and open-source contributors for their continued support in driving growth and adoption. We cannot express how much we appreciate those who have helped Komodo along over the years. The first block in the KMD blockchain was mined just under two years ago, on September 13, 2016 to 9:04 PM. Since then, Komodo has demonstrated a commitment to innovation and established a history of execution. Let’s take a moment to celebrate everything that Komodo has accomplished over the past few years. February 21, 2016 — The vision for Komodo Platform is born with jl777’s Declaration of Independence. September 13, 2016 — The first block in the KMD chain is mined. October 15, 2016 — Komodo’s initial coin offering (ICO) is launched. November 20, 2016 — Komodo’s ICO comes to a close with a total of 2,639 BTC raised. January 2017 — The Komodo Mainnet is launched, complete with independent assetchains and delayed Proof of Work security. January 31, 2017 — The KMD coins purchased in the ICO are issued. March 2017 — Komodo’s development team develops one of the first atomic swap protocols. July 2017 — Thousands of atomic swaps are made in a public, observable setting. August 2017 — Private, zero-knowledge trades made possible with Jumblr, Komodo’s native shuffler. October 2017 — Komodo develops a way to make atomic swaps in SPV Mode (“Lite Mode”), thus eliminating the need for traders to download entire blockchains to do atomic swaps. November 2017 — First GUI for Komodo’s atomic-swap-powered decentralized exchange (DEX) is released, making atomic swap trading more accessible than ever before. January 2018 — The mobile version of Agama wallet is released. February 2018 — A public stress test allows 13,900 atomic swaps in a 48 hour period. March 2018 — Komodo bridges the gap between Bitcoin-protocol-based coins and Ethereum-based ERC-20 tokens, providing support for 95% of coins and tokens in existence. March 2018 — Komodo holds its second annual Notary Node Elections. May 2018 — The world’s first decentralized ICO is held on Komodo Platform. June 2018 — The alpha release of HyperDEX, a new GUI for Komodo’s decentralized exchange, is launched. July 2018 — Komodo enters a partnership with Netcoins, making KMD coins available for purchase with fiat currencies at over 21,000 locations across three continents. July 2018 — Komodo announces the 5 Pillars of Blockchain technology and begins introducing some Komodo 2.0 technology features, like Federated Multi-Chain Syncing and Cross-Chain Smart Contracts. August 2018 — Komodo takes two big steps towards mass adoption, announces a collaboration with Ideas By Nature, an industry-leading blockchain agency, and releases a full briefing on the development on UTXO-based smart contracts. Much has been accomplished over the last several years. At the same time, there is much work to be done. That’s why the Komodo team is still working hard to build upon the progress that’s already been made. Komodo’s tradition of cutting-edge development continues with new features activated at Block 1 Million. These new features include the introduction of Komodo’s UTXO-based smart contracts, as well as a minor adjustment to the way mining rewards are distributed and a slight change to KMD active user rewards. Delayed Proof of Work security services is now available to any PoW chain in existence, providing protection from 51% attacks. Cross-Chain Smart Contracts create inter-chain fungibility. With a unique burn protocol that keeps coin supply constant, Cross-Chain Smart Contracts allow multiple blockchains to function as one logical chain. Federated Multi-Chain Syncing enables cross-chain verifications and empowers Komodo to process more than 20K transactions per second. In the coming months, a new public scaling test will demonstrate 1 Million tx per second. All of these remarkable features will become live in the Komodo code base and available to every project that builds on Komodo Platform. On top of all that, the improvements coming with Komodo 2.0 don’t stop with the Development Team. This evolution of Komodo will encompass the entire project. The specifics of the Komodo 2.0 upgrade are being finalized but more details will be released very soon. Stay tuned for more information regarding the evolution of Komodo. To be among the first to hear the latest news, sign up for Komodo’s weekly newsletter. You can also join Komodo’s community on Discord to learn more and chat with Komodo team members. Join us as we continue to evolve and lead the blockchain industry into the future.